Recently i wrote an article on how to buy Bitcoins, Ethereum and Litecoin Online with no risk using CoinBase bitcoin wallet, But this article had a little glitch and by that i mean some limitations. That is; CoinBase isn't supported in every country so today we've found a way to buy Bitcoins online to a secure wallet without fear of losing your money for our Nigerian Investors. We'll be using Luno formerly known as bitX to achieve this aim. LUNO (formerly BitX) is a Bitcoin company headquartered in Singapore with operations in Indonesia, Malaysia, Nigeria, South Africa and the United Kingdom. 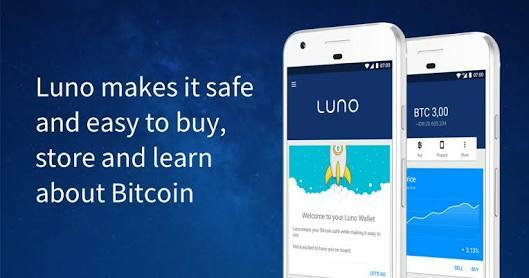 Luno facilitates Bitcoin storage and transactions such as buying, selling and paying through their Bitcoin wallet service. They also operate exchanges between fiat money and bitcoin. Note that, if you're in Nigeria, you can deal directly with Coinmarket - Our trusted Bitcoin dealer site (it's owned and managed by our team). But aside buying from us, I'm introducing Luno, A Bitcoin wallet in Nigeria that's turning things around, i must tell you that their rates are also really cheap. Plus you'll get ₦100 worth of free Bitcoin for your first ₦5,000 worth of Bitcoins you buy. So that's ₦5,100 worth of BTC on your first purchase. Lower transaction fees: Luno wallet has low transaction fees. Naira wallet: You see the Naira equivalent to your BTC funds not dollars. Currently 1BTC is selling for ₦1.4Million. Easily buy and sell Bitcoins online: simple and easy interface to buy and sell coins. Bitcoin Exchange available: Exchange cryptocurrencies. Simplicity: a simple and elegant design makes it's simplicity beneficial as even a kid can understand and navigate easily. Buy online using credit card (ATM): No more personal transactions. Verified Company: Buying From/Selling to Luno is safer because you're dealing with a registered company. The above are some reasons, just to mention a few. So join Luno now and claim your ₦100 free worth of coins. ₦100 seems small right? Well you can also invite your friends and family to grab this same opportunity and earn another ₦100. If you can bring in 100people monthly, that's another ₦10,000 free monthly. Get ₦100 worth of BTC for free once you purchase your first ₦5,000 worth of BTC. Kindly register for an account on Luno HERE and start enjoying all the benefits. If you're already a member or new member enter this code for your first ₦5,000 purchase and earn 100Naira free.